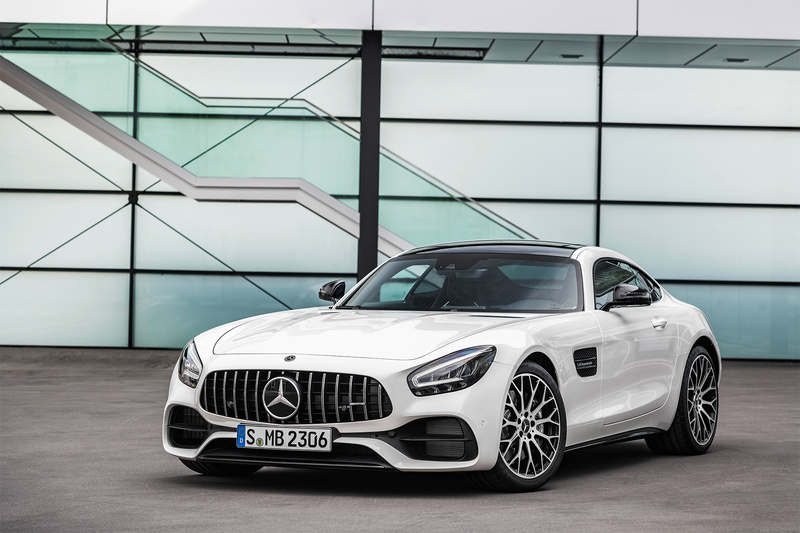 Mercedes-AMG has updated their four year old GT and added a limited edition AMG GT R PRO to the lineup. 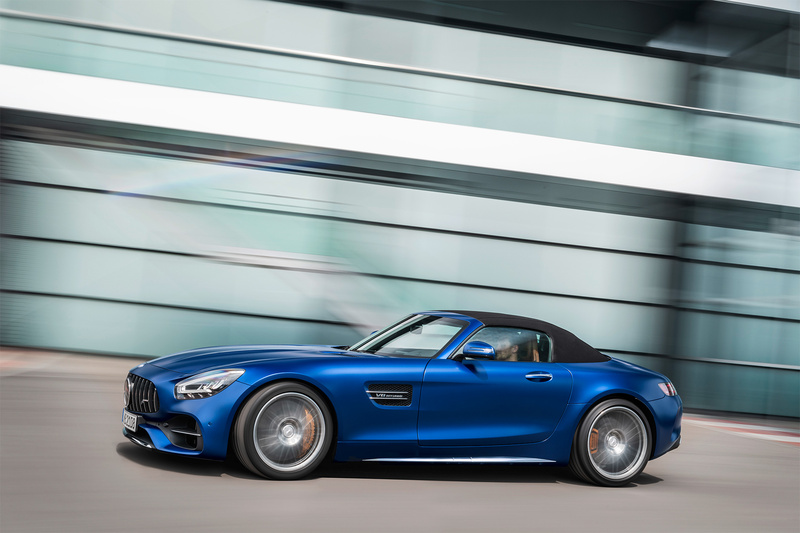 The 2 door AMG GT coupes and roadsters will offer the AMG DYNAMICS integrated driving dynamics control system, the new AMG Performance steering wheel, the same centre console that is available in the GT 4 door, and a fully digital instrument display with the exclusive AMG Supersport style on the instrument cluster. 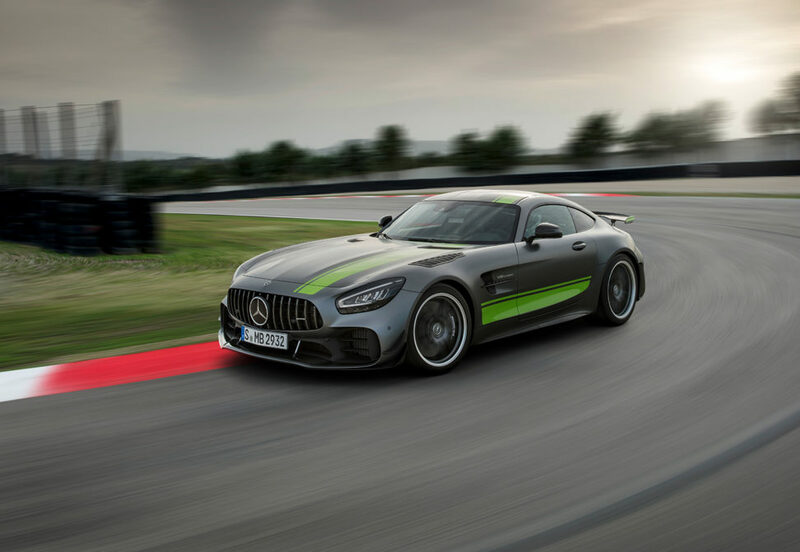 The limited edition AMG GT R PRO has been modified to deliver even more racetrack performance, with optimized power, new suspension, aerodynamic fine-tuning generating more overall downforce, and lightweight wheels that all contribute to enhanced driving dynamics and faster lap times on the racetrack. 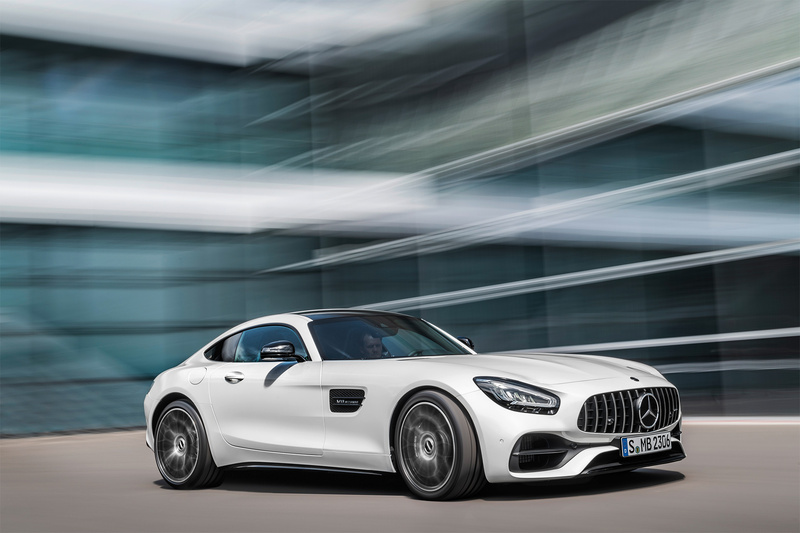 The two-door AMG GT models offers as standard a fully digital instrument display with 12.3-inch instrument cluster and a 10.25-inch multimedia display on the centre console. The instrument cluster features a new screen design with the three AMG-specific display styles: Classic, Sporty and Supersport. 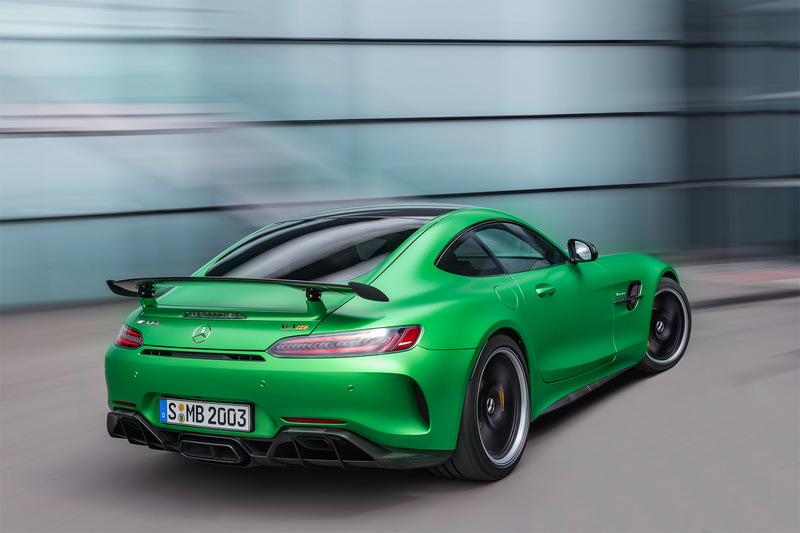 In Supersport mode, additional AMG-specific information appears, including a prompt to shift up in manual transmission mode that has been borrowed from motorsport. 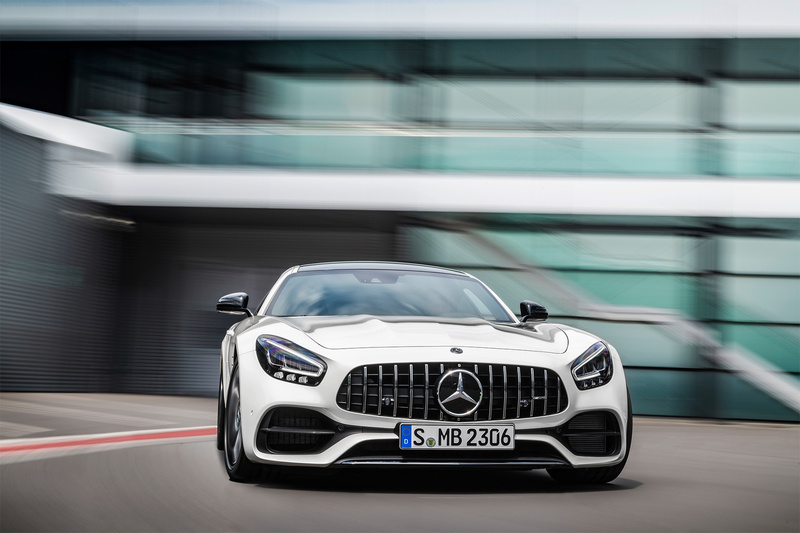 The 2-door AMG GTs have the new AMG performance steering wheel, which debuted in the AMG GT 4 door and is also available in the C 63. It has a sporty design, a flattened bottom section with a heavily contoured rim, and intuitive control. The steering wheel cover in Black Nappa Leather is perforated at the sides to ensure optimum grip. In the AMG GT R, the rim is covered with DINAMICA microfiber with galvanized gearshift paddles. With a swipe of the finger, the integrated Touch Control buttons on the steering wheel can be used to control the functions of the digital dash and the multimedia display. The Active Distance Assist DISTRONIC and the TEMPOMAT cruise control can be adjusted on the control panels on the left. The AMG TRACK PACE virtual race engineer records race track data and provides a broad and more precise scope of functions. AMG TRACK PACE is a standard part of the COMAND online infotainment system. Once activated, more than 80 vehicle-specific sets of data are recorded ten times per second. In addition, lap and sector times are displayed, as well as the respective difference to a reference time. Because specific display elements are shown in green or red, the driver is able to see at a glance without reading numbers whether they are faster or slower than the best time. AMG TRACK PACE even detects when the circuit has been left or if it has been shortened. This is done using GPS data as well as the vehicle’s sensors. Information about well-known racetracks, including the Nürburgring and Spa-Francorchamps, are already stored in the system. 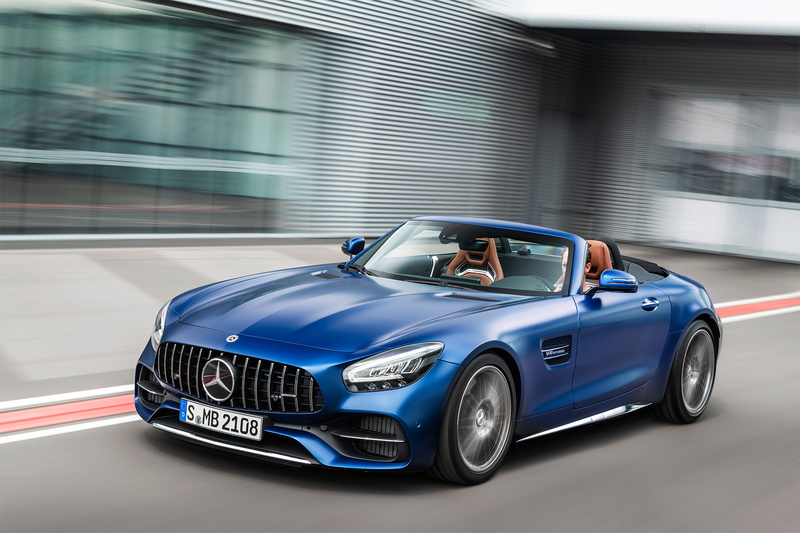 The 2-door AMG GTs now come with AMG DYNAMICS, a new feature in the AMG DYNAMIC SELECT drive programs. The different AMG DYNAMICS modes are Basic, Advanced, Pro and Master. Master (only available for GT C and GT R) is connected to the RACE drive program. Master mode is aimed at drivers who want to experience the dynamism and driving enjoyment on the track. Master offers an extremely neutral vehicle balance, low steer-angle requirement and more agile steering. 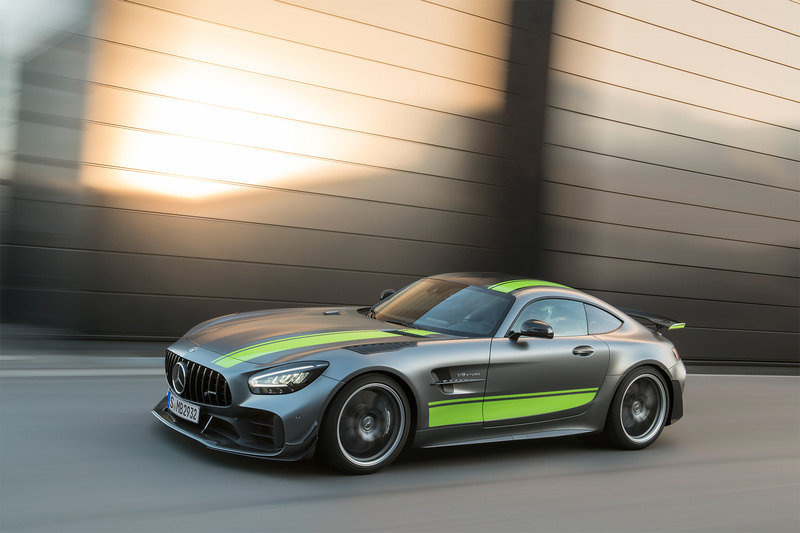 The new limited-edition, top-of-the-range AMG GT R PRO provides improved driving dynamics, especially on the race track. 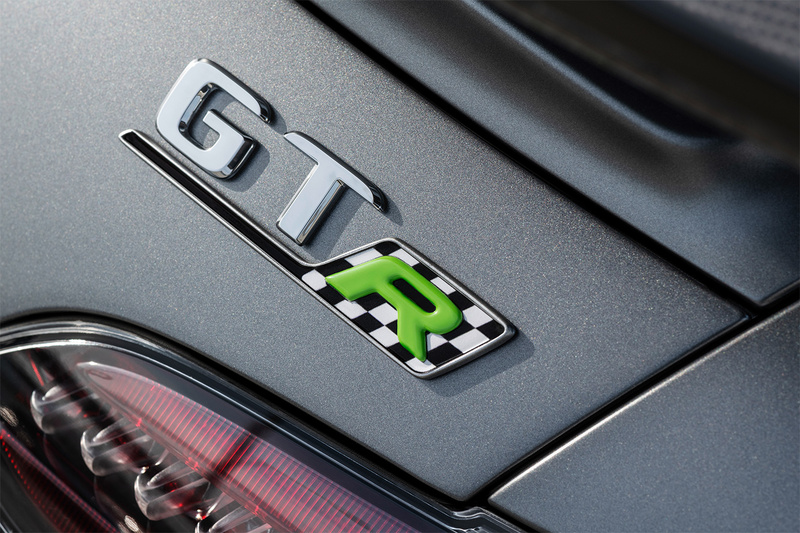 Expertise from the AMG GT3 and AMG GT4 race cars influenced the development of the GT R PRO. The motorsport measures can be clustered in four areas: suspension, lightweight construction, aerodynamics, and looks. In the USA, Canada and China, the AMG GT R PRO is equipped with AMG Performance seats as standard. The lightweight AMG Performance 5-double-spoke forged wheels are exclusively painted Titanium Grey and feature a rim flange with high-sheen finish. Aerodynamic fine-tuning increases the overall performance of the AMG GT R PRO. Its redesigned front apron was fitted with two flics at the sides, which are made of clear-coated carbon fibre. The lower flics transition almost seamlessly into the front splitter, which was extended further forward and is held by small metal braces that stabilize the front splitter at higher speeds. The AMG GT R PRO not only drives like a racing car, it also looks like one. Its standard-fit Carbon Package I with front splitter, fins in the wings, trim strips in the side sills, and diffuser with clear-coated carbon-fibre finish emphasize the cars connection to motorsport, as does the redesigned carbon-fibre roof with lowered centre. 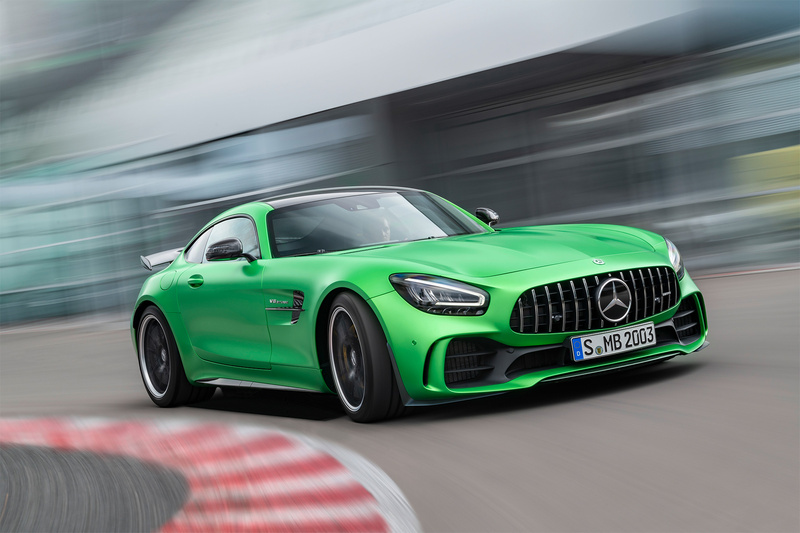 Even before its world premiere, the new AMG GT R PRO demonstrated its performance potential on the racetrack. In early November, AMG brand ambassador and AMG GT3 racing driver Maro Engel completed a circuit of the Nürburgring North Loop in exactly 7.04.632 minutes, driving a still-disguised AMG GT R PRO. 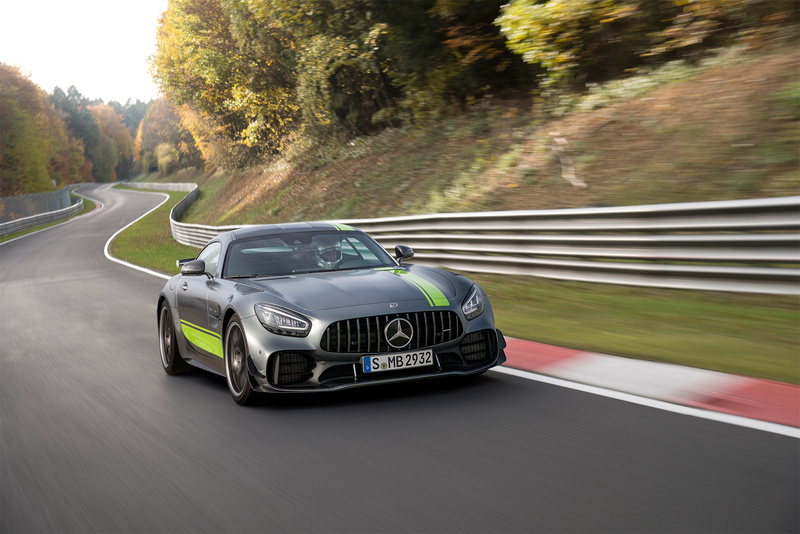 This considerably bettered the previous time for the AMG GT R and, at an autumnal ambient temperature of 12 degrees, demonstrated the potential of the current AMG flagship model.